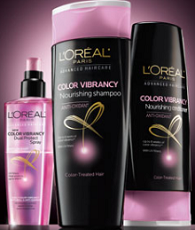 Get a FREE Sample of L’Oreal Color Vibrancy with Antioxidants! You may be able to request another sample even If you did this in the past, but It may depend on when the last time you requested the sample was. its a great product to use. H4F I was able to get another sample. It allowed me to get another one as well.